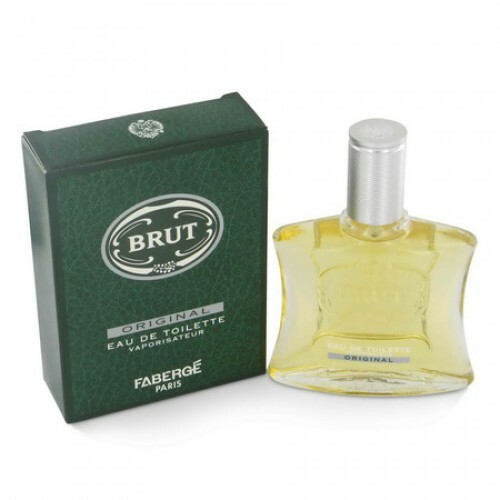 Faberge Brut Original sends a unique and sensual style. Suitable for daily use. Faberge Brut Original EDT 100 ml. is a unique masculine fragrance Brut Original sandalwood captivates from the first notes of any woman. Through flower arrangement this fragrance magically fills the consciousness of the morning sun's energy and joy. Included in the notes of geranium, lavender and bergamot, endow the owner with sincerity and confidence. Give a nice tone to your ideas and help you realize the most cherished dreams. This perfume blends with walks under a full moon with a charming female half. He will win the heart of the most beautiful women and will fill her heart with warmth and love. Top notes: anise, basil, orange blossom, bergamot and lavender Middle notes of geranium and jasmine Base notes: vanilla, vetiver, coumarin, patchouli, musk, sandalwood and oak moss. He expresses confidence and refined character. It contains notes of leather, tobacco and greens. Unusual, courageous and woody fragrance. It sends a unique and sensual style. Suitable for daily use.